ESF is administered by a volunteer board comprised of parents from EUSD schools. The board typically has between 10-15 voting members, with additional parents serving as board members and contributing to our fundraising and information efforts. The district Superintendent and a principal liaison also attend meetings in an advisory capacity. Board meetings are open to the public and parents and other interested persons are encouraged to attend. The reality of public school funding in California is that property taxes are just not enough. The best public schools and school districts are truly a public/private partnership. According to the California Consortium of Education Foundations, communities across California who reap the benefits of a partnership between their education foundation and school district have some of the strongest property values even in real estate market fluctuations. These communities remain strong only with the support of an education foundation such as ESF to help fund programs and teachers. With significantly less money available from state sources, local school boards are continually forced to cut or reduce programs considered “non-essential” by the state government, but highly valued by students and parents, such as music, art, library support and athletics. These budget pressures continue in 2009 and beyond. 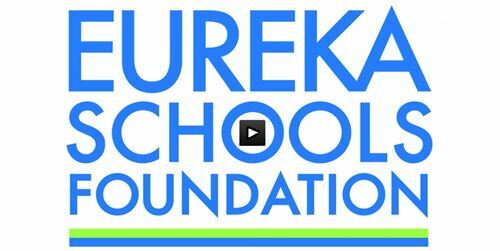 Please visit the Eureka Schools Foundation website for more information, videos and details about all of our fun events throughout the year. The ESF supports all the schools in the Eureka Union School District. Since its formation, the ESF has contributed over $7 million to supplement the EUSD’s impacted budget. Approximately 90% of contributions made to ESF go directly to school programs. Without the funding of ESF contributions, the children of the Eureka Union school district would not have access to computer labs, libraries, music, athletics and more. Imagine your child growing up without these things, which all contribute to a well rounded education. Donate to the ESF annual fundraising campaign. Your tax-deductible donation will help keep these established programs and curriculum in place for every student! Participate and attend ESF fundraising events throughout the year and encourage business contacts and family to do the same! Volunteer your special talents or business services, computer skills, sales, copying, stuffing, etc. to help with any of the activities! Patronize local businesses that support ESF. Every parent who has a child enrolled in the Eureka Union School District (EUSD) has a stake in the success of ESF. Support your child's education today!